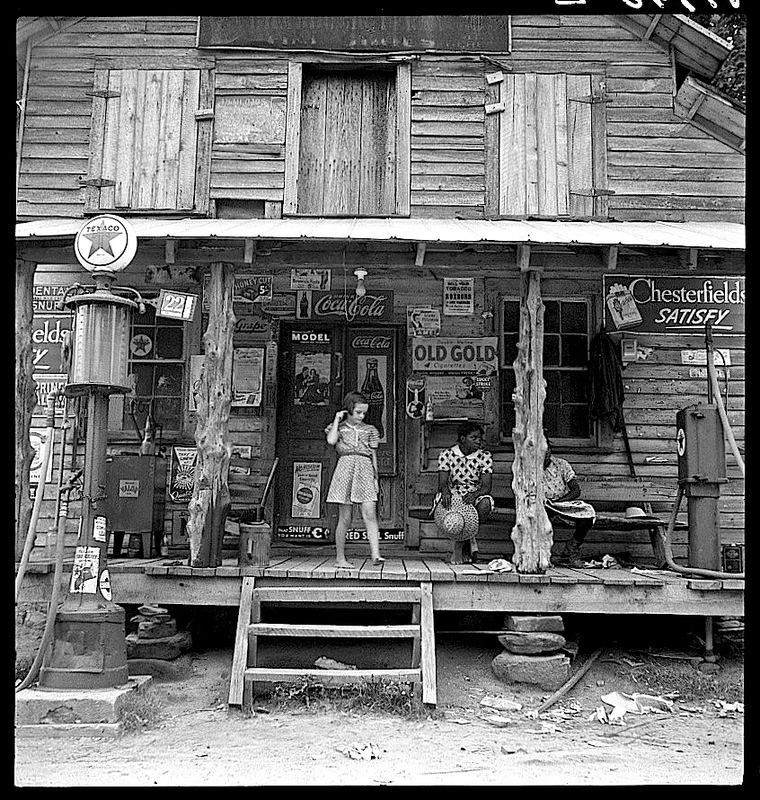 Country store with rough tree trunk columns, Person County, North Carolina, 1939, by Dorothea Lange for U.S. Farm Security Administration, via Library of Congress Prints and Photographs Division. Next Post Vintage landscape: Charleston, S.C. I spent a long time looking at this on Sunday. I found it fascinating for both the combo of people gathered there and the items like gas pumps cheek by jowl with a wooden building. I agree with Linda. There is so much going on in this photo — the ads, the gas pumps, the women, the girl, the architecture. Fabulous choice, Cindy. Thanks so much for your comments. It really does have an amazing sort of “surface texture.” I wonder how long the stored survived. Sad to think of it replaced by a 7-Eleven.